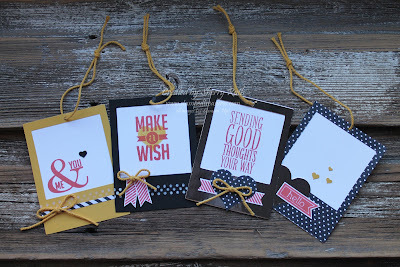 Continuing on with the Hello Life projects... today I have 4 tags created using the 'polaroid' type pieces. Once again everything came from the kit apart from a few scraps of white cardstock. 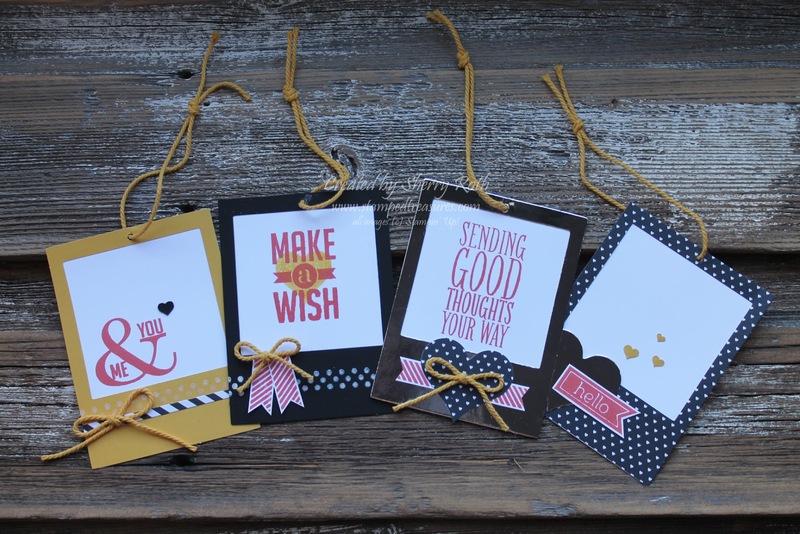 For these projects I used the Perfect Pennants stamp set. Wouldn't these be cute on a card front? It's amazing how much you can make with just this one kit.